This is an original production cel from the Walt Disney Studios feature film, Cinderella (1950). 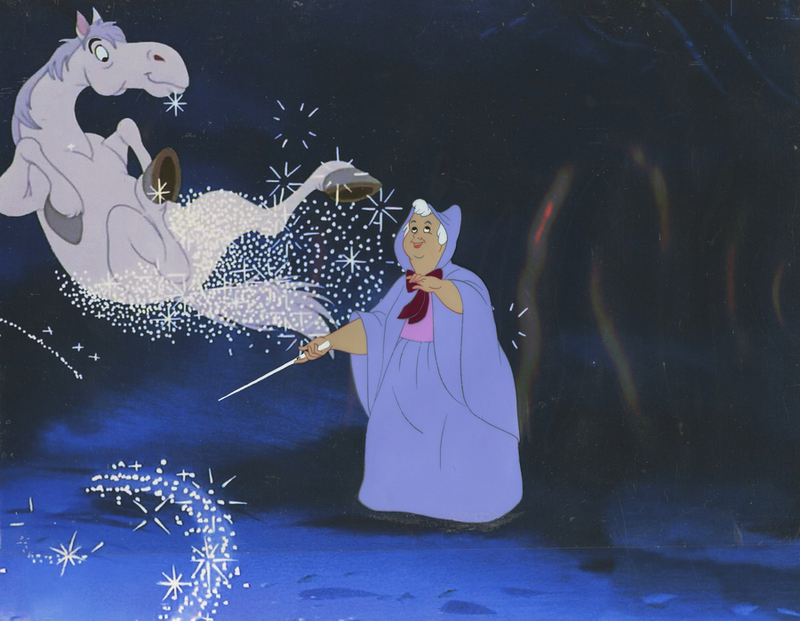 The cel features Cinderella's Fairy Godmother from the scene where she is magically transforming all of Cinderella's animal friends into her horses and coachman. The hand-painted cel was created at the studio and used in the production of the film, representing a singular frame of animation seen in the actual film. 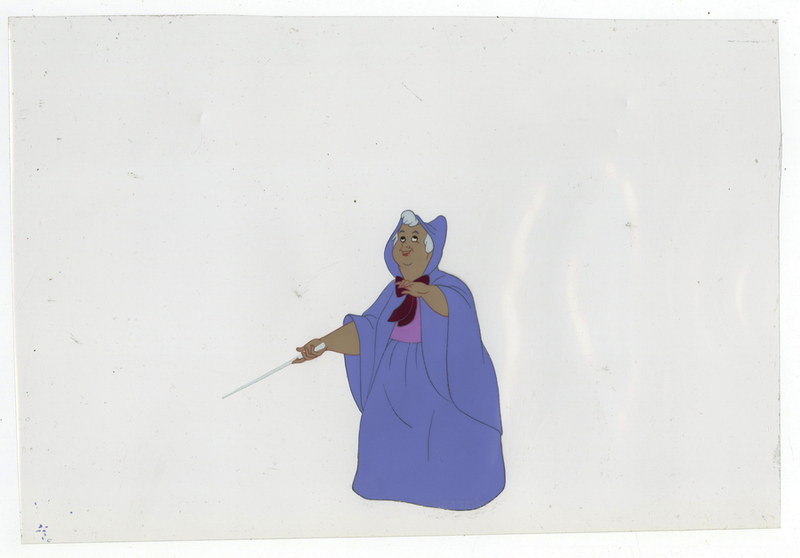 The cel is slightly trimmed to 7.25" x 10.5" with the Fairy Godmother measuring 4.25" x 4". The cel is paired with a color printed reproduction background, the horse is part of the copy background and not part of the production cel. 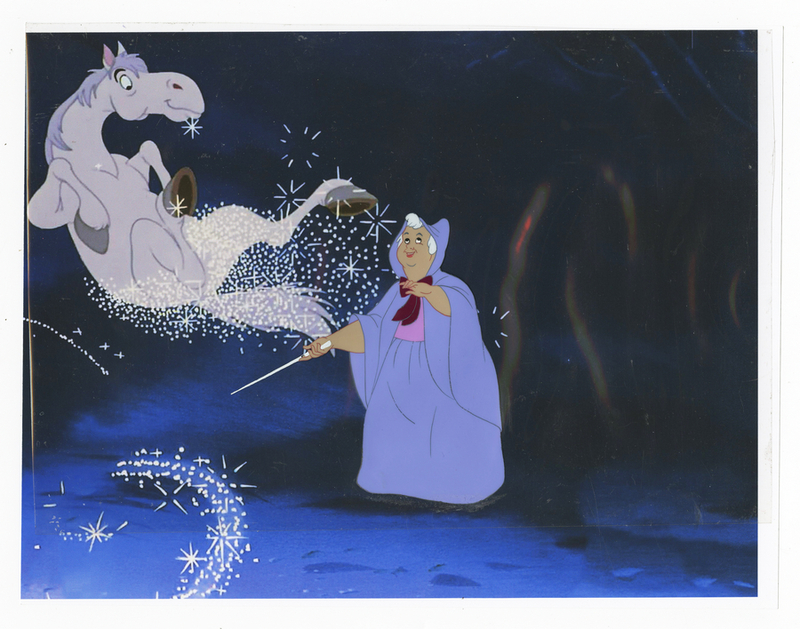 The cel is in very good condition with some adhesive residue on both sides of the cel from a previous framing job, notably on the surface at the Fairy Godmother's feet, but all of the paint and line work of the image is in excellent condition.